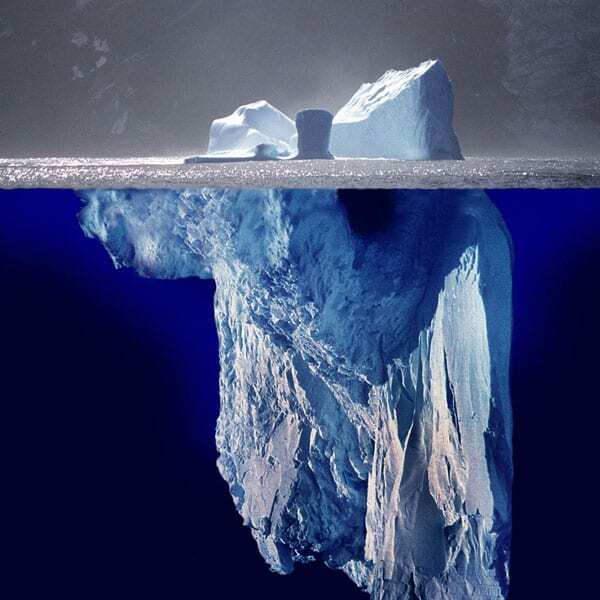 Cultures of Nonprofit Trusteeship: What Lies Beneath? Editors’ note: This article from the winter 2018 edition of the Nonprofit Quarterly was adapted from Chapters 3 and 5 of Rikki Abzug and Jeffrey S. Simonoff, Nonprofit Trusteeship in Different Contexts (Ashgate Publishing, 2004), with permission. Nonprofits tend to think about boards in a way that assumes that they are nonporous entities—a kind of standardized form with few variations. But the opposite is true: nonprofit boards of directors are deeply influenced by any number of “silent” factors beyond whether they happen to adhere to commonly agreed-upon standards of governance. Our research indicates that they are influenced by their geographic regions, the fields in which they practice, the social era (and theories of change) from which that field emerged, and the regulatory and funder-driven standards of that field, to name a few. This makes these entities far more of a cultural puzzle than previously thought. But these differentials are often plowed under when board development is approached by nonprofits, driving them further underground as silent informers of behavior. The purpose of this article is to begin to unearth these, so that nonprofit practitioners can begin to question their own working assumptions about boards and why their board is the way it is and acts the way it does. These conversations become especially important in the context of the persistent lack of racial inclusiveness on nonprofit boards and the frequency of splits between nonprofits’ boards and their constituents. Unexplored structures and their underlying narratives may need to be excavated and re-chosen for their value or rejected for their lack thereof before real changes vis-à-vis boards can be realized. Lately, there has been a great deal of conversation about how democracy is imperiled by some of the ways in which philanthropy and nonprofits interact with the public, but the concerns raised about creeping plutocracy via philanthropy, and what some call the nonprofit industrial complex, are not at all new. But they, along with other critical questions, have been plowed under. So, we set about analyzing boards of nonprofit organizations as both tools of the elite and as grassroots checks on the power of the state. Our studies took on particular urgency in light of the increasing size and scope of sector organizational activity, the potential role these organizations were said to have played in the consolidation of elite power, and because of the debate over nonprofit organizations as acting in the public interest. At the same time, our group took a deep dive into the reasons that board composition varied (sometimes extensively) over time periods (studying boards in 1931, 1961, and 1991); across geopolitical regions (the six cities of Atlanta, Boston, Cleveland, Los Angeles, Minneapolis/St. Paul, and Philadelphia); and perhaps most demonstrably, across eight nonprofit (sub)fields or National Taxonomy of Exempt Entities (NTEE) categories. These nonprofit fields/subsectors from which our original study pulled board-level structure and trustee biographical data were: health (represented by the largest secular, Jewish, Catholic, and Protestant nonprofit hospital in the six cities of our study); culture and the arts (represented by the largest nonprofit museum and symphony orchestra in the six cities of our study); higher education; family/human services (represented by the largest secular, Catholic, and Jewish family services organization in our cities); youth/recreation (represented by the biggest YMCA and YWCA in each of the six cities); community foundations; membership organizations (represented by the Junior League); and united charities (United Way, in our case). We drew a field distinction between family/human services on the one hand and the YMCA/YWCAs on the other due to the latter’s emphasis on youth and recreation rather than family service. Finally, while the Junior League may be considered a women’s service club and thus in the public and societal benefit field, we were primarily interested in its governance as a membership organization. Our reasons for separating out these fields/industries will become clearer as we delve into the meaning of such fields/industries for institutional processes in shaping governance structures. In the end, though, our model is meant to be broad enough to distinguish specific cultures of trusteeship in an array of nonprofit subsectors, not limited only to the ones that we researched. Much of what we theorized then is still relevant—and then some—almost thirty years later. Below, we revisit some of the key components of board variation in this “field” guide to differences in trusteeship. Along the way, we review some of our models of the impact/imprint of time period and regional/city culture; but in this article we focus the balance of this review on force of field/industry—even as we hold as central the question about whether nonprofits and nonprofit boards are primarily agents of the elite or the people, and how that determination may be made in a way that is more productive as we all move forward to more nuanced and realistic discussions of nonprofit governance. We use the word field both to denote a nonprofit industry/NTEE category and to locate our model within the neo-institutional framework of organizational studies. Neo-institutional theory has been preoccupied with both the way(s) that sets of organizations come to be seen as “fields” (or industries) and with how pressures of, and on, such fields exert institutional forces on structures (such as boards) internal to the organizations within the field. We have suggested that boards, as boundary spanners, are particularly susceptible to influences of the institutional environment. Ultimately, we were interested in exploring the unseen forces/cultures (varying by time period, city/region, and, for the balance of this review, field/industry) that have both constrained and guided board compositional decisions. The organizational sociologists among us were particularly interested in speaking to debates about (nonprofit) management as adaptive and strategic versus inertial and reactive. The historical aspect of our study was largely inspired by sociologist Arthur Stinchcombe’s notion that events surrounding the creation of a new organization have a long-lasting effect on the organization’s future development.2 These forces, which came to be known as imprinting, varied across time periods and were hypothesized to constrain organizational transformation potential. As such, we included nonprofit boards of the same organizations from 1931, 1961, and 1991 in our sample to study what, if any, impact imprinting had on board compositional form. Similarly, the geography buffs among us were greatly influenced by the pioneering works of Jennifer Wolch and Julian Wolpert, who introduced the scholarly world to the concept of the diversification of nonprofit sector by localities.3 Again, searching for those unseen forces that shape organizational decision making, we suggested that place could also imprint (nonprofit) organizational structures through at least two levels of analysis. We looked for the impact of broad regional belief systems and sense-making, and the narrower lens of local and state law and politics, in trying to account for variations that we might find in the composition of our boundary-spanning boards. Once construed as a field (often synonymous with “industry” in the sociological literature), organizations are subjected to powerful field forces that further constrain their design choices and promote isomorphism, or conformity, in organizational structure.6 Thus, we would expect that the composition and structure of boards would vary depending on the norms prevalent in organizations within commonly accepted field/industry categories. Alternatively, our work extended a literature that questioned the nonprofit/ for-profit institutional split, suggesting that variation within sector may, in some cases, exceed variation across sector. This same literature (an iconic example would be Hall) posits that the nonprofit sector itself was stitched together from a disparate collection of fields/industries all dominated by (if not wholly composed of) nonprofit entities.8 Following this line of reasoning, we determined that it was time, again, to deconstruct the sector concept to reveal field/industry forces that may be more determinant than tax exempt status alone. In the next section we look at the ways that nonprofit fields can impose isomorphic pressure on structures internal to organizations. Following the work of DiMaggio and Powell, we divide the discussion into the role of coercive field forces (including, especially, the role of funders), mimetic field forces (competition, networks, and interlocking directorates), and normative field forces (the role of elites and professionals).9 We use the nonprofit fields and organizations represented in our original sample to illustrate potential effects on board structure and composition. In our work, we conceptualized “coercive” pressure in nonprofit fields as both/either the blunt power of the regulator and/or the more diffuse power of the funder. For organizations of the nonprofit sector, the government (at the national, state, and local level) may play both of these roles vis-à-vis the structuring of the governance function. Government mandates for particular governance structures can (and do) target the nonprofit sector writ large (as when state not-for-profit incorporation laws dictate whether employees can serve as board chairs), or they can target particular subsectors (as when the Centers for Medicare and Medicaid Services of the Department of Health and Human Services originally ruled that every hospital board needed to include at least one member of its medical staff). Yet, it is the government’s role of funder—which surely varies among nonprofit industries—that may make an even larger (though, perhaps, more stealthy) impact as a coercive force targeting and differentiating board structure. Specifically, we expected boards in industries heavily dependent on government funding to recruit more members with professional and managerial expertise to better facilitate relationships with professionals and managers of public agencies. Junior Leagues might have much less reason to recruit board members with public sector backgrounds and/or access than would hospitals or human service agencies, for example. Looking at within-industry similarity through the resource-dependence model is another way to view coercion through an inducement/funding relationship lens. The increase over time of government grant and contract support for nonprofit organizations has purportedly subjected nonprofits to public-sector norms of representativeness and inclusion. As such, we expected boards of organizations very dependent on government grants or contracts to be most representative of the polity at large. Such a mechanism might insulate boards of symphony orchestras or museums, for example, from public (taxpayer) pressure to diversify demographically. Still, it is not just within the governmental arena that regulations and policy affecting industries, their constituent organizations, and internal structural elements, are made. For instance, industries vary in the number and power of accrediting (and other types of gatekeeping) institutions that may be responsible for speeding up isomorphic pressures. Nonprofit boards of the higher education institutions in our study would be, for instance, accountable to the governance standards of the various accrediting agencies recognized by the U.S. Department of Education and the Council for Higher Education Accreditation. Boards of Junior Leagues, by comparison—though perhaps trained through leadership development activities offered through the Association of Junior League International—would not be held accountable to industry governance standards, as none exist. Another way to constitute industry, beyond the regulatory (coercive) pressure, is to emphasize that organizations that face similar funding environments may also compete for similar income and other resource streams, as well as similar talent at the level of the board. For nonprofit organizations we can suggest that organizational fields converge around organizations competing for similar private funding, government grants and contracts, management and director talent, and/or fee-for-service clients. We might also suggest that nonprofits that compete with for-profits for such resources constitute their own fields. Certainly, nonprofit industries differ to the extent that constituent organizations are dependent upon, and competing for, philanthropic (as opposed to public, or earned income) dollars. These differences can be quite broad across large subsectors—health organizations are much more dependent on third-party payments, while arts organizations are more dependent on contributions by corporations and individuals. Differences in capital structure, such as financial assets, are likely to affect organizational structures (such as boards) that are responsible for overseeing financial developments. Indeed, we expected that nonprofits that operate in donative industries would adopt larger, more representative boards than nonprofits that operate in primarily commercial industries. Boards in more commercially competitive industries may face pressure to conform to a more corporate model of directorship. We further expected that nonprofits in industries that embrace both for-profit and nonprofit forms (hospitals being a prime example) would be more likely to adopt corporate-type boards than nonprofits in industries without a substantial proprietary presence. Of course, the set of possible resources that large corporations can provide to nonprofits also influences the need for ties to the corporate community. We expected that boards in nonprofit industries heavily dependent upon corporate benefactors (museums and symphony orchestras, for instance) would seek out board members from within or with direct ties to the corporate world, especially compared to boards in industries without such expectation of corporate support (family/human services organizations, for example). Ultimately, we were guided by DiMaggio and Powell’s notion that organizational uncertainty (about how to compose a nonprofit board, for our case) could also be alleviated by modeling.10 Uncertain how to proceed, organizations may look to mimic perceived successful organizations in what they determine to be their particular fields. In the nonprofit fields—where competition may be more muted than in market-share-crazed for-profit industries—follow-the-leader strategies may be especially useful in legitimating newer and smaller organizations. A YMCA looking to restructure its board may be more likely to look for inspiration at a successful YMCA the next town over, as opposed to the community foundation down the street. That YMCA may get further help in its restructuring by turning to the YMCA of the USA, or even the World Alliance of YMCAs. So we posited that nonprofits look to other nonprofits that they perceive as similar to them to help them build their governance structures. But there is still (at least) one more institutional lever in the overall isomorphic model: the networks of directors. In 1973, management expert Jeffrey Pfeffer studied hospital boards, exploring the determinants of board size and composition.11 Pfeffer found that hospital board size directly correlated with hospital budget, proportion of funds obtained from private donations, and the importance of influence in the community and fundraising. We suggested that such findings might be even more powerful for explaining inter-industry board variation. Indeed, we suggested that institutional linkage to specific communities, and especially linkage to specific elite interests, might also serve as predictor of board structure and composition when comparing across fields. We suggested that this would be a particularly predictive lever of board compositional isomorphism for the mutual-benefit (self-reproducing) nonprofits in our study. We expected that boards of mutual-benefit or membership organizations would be the most homogeneous, while boards of more entrepreneurial organizations would be larger and more diverse. Some of our nonprofit organizations, while not strictly mutual-benefit organizations, nonetheless catered to only a small, well-to-do portion of the community. We expected organizations that acted to preserve class distinctions (especially and explicitly in the historical portion of our study) to have boards that were smaller, more elite (based on historical sociological measures), and less diverse than organizations with missions supportive of redistribution of incomes and services. We illustrated the contrast between membership organizations and organizations committed to social change by comparison of the female-dominated Junior League and YWCA. Despite its stated historical commitment to social change, the Junior League, for much of its history, served as an indicator of upper-class status for its all-female membership. The place of the Junior League in history, literature, and the public imagination suggested that women who volunteered for board work in this organization, for example, might be more elite than other board women in the population. The YWCA—also a female-dominated organization, but one devoted to social justice—provided an interesting ideological (and board compositional) contrast to the Junior League. Highlighting how boards reflected extant (or nonexistent) community and elite linkages was one way to think about normative impacts that differentiate industries (and therefore differentiate compared organizations). Additionally, DiMaggio and Powell implicated the project of professionalization in explaining how normative forces come to exert homogenizing pressures on organizational structures. Certainly, we could imagine how meetings of the fledgling Association of Art Museum Directors (founded in 1916), the League of American Orchestras (founded in 1942), the Association of Governing Boards of Universities and Colleges (founded in 1921), the American Hospital Association (founded in 1898), and other such organizations might have facilitated knowledge sharing among directors within these nonprofit fields. That such field-specific nonprofit (governance) associations predate Independent Sector and BoardSource by over half a century should remind us that the distinctive cultures of trusteeship we observed in our studies had a history long before any nonprofit organizations thought themselves part of the third sector. So, What Evidence of Cultures of Trusteeship Did We Find? Research on almost nine thousand trustees and over one hundred and forty distinct boards, before both the concept of big data and even the Internet, provided the data for a number of scholarly articles and, ultimately, for our book. For the latter, we formulated statistical models designed to uncover potential associations between board composition and time period, region, industry, and faith structures. We chose among these different potential summaries of important effects using empirically sound objective methods and tools. We ultimately reported the following findings. We first confirmed that complex boards defy modeling with simple predictions, yet we were able to discern evidence of field-level cultures of trusteeship that predicted organizational bureaucratic structure (board size) as well as trustee demographics, social, educational, and occupational eliteness, and networks. Indeed, we consistently found that our most explanatory models included both city/regional and field/industry variables, often through interactions. We evidenced that racial and gender inclusivity were much more likely in community foundations, family services, and United Ways (and Ys, which include the YWCAs), than in the other industries/ subsectors under study, particularly in the most recent year of the study. Social registrant elites were historically concentrated in health, culture, Junior League, and even in the more demographically diverse community foundation organizations, while Who’s Who listees were concentrated in cultural and educational institutions. Professionals dominated in health, education, and family services. On the other side of the industry coin, Junior League trustees were least likely to be Who’s Who and Standard & Poor’s listees, higher degree recipients, and either managers or professionals. Given traditional gender roles (attenuated for social upper classes), we suggested that these achievement levels of Junior League trustees were not much of a surprise. In all, our book’s data and statistical modeling bore out our story of industry/ field-level cultures of trusteeship that persisted from the earliest year covered by our study (1931) through to our study’s conclusion in the mid-1990s, although with the caveat that such cultures also can change over time in response to societal norms and pressures. Our intention is to revisit our boards for the thirtieth anniversary of our study to determine the extent to which field/subsectoral differences in trusteeship continue. Even if the task, industrial, and institutional environments of nonprofit organizations had not reduced the traditional elite presence on boards, we still might expect boards to have changed due to the changing nature of elite communities themselves. However, measuring the influence of broad changes in elites upon the pool of applicants from which board members are recruited is difficult, due in part to the problems of circularity in defining an elite. For example, if presence on nonprofit boards of trustees is an indicator of eliteness,1 then, despite diversification of membership, all trustees of prestigious nonprofits will be defined as members of the elite. If this is the case, it will be impossible to ask if the percentage of elite members on these boards has varied by time period. One way around this circularity is to suggest that membership in the social upper class be measured by a number of other frequently used social indicators, such as appearance in the Social Register and Who’s Who.2 However, these sources too may have changed and become more inclusive over time. In this case, using such indicators could mask the degree of change over time in board composition. Even if the meanings of the indicators themselves have not changed, we might still expect a decrease in the proportion of board members who are members of the social upper class as measured by such indicators, if nonprofit board nominating committees place less importance on class background, or if they are pressed to draw from less elite populations. Combined with the argument that the power of remaining local elites has declined with the rise of a national elite, we can suggest that nonprofit board members will demonstrate less attachment to local social upper classes in more recent time periods. If so, then even if nonprofit boards are as homogeneous as ever with respect to such characteristics as race, gender, and occupation, they may have changed with respect to more subtle indicators of attachment to local upper-class status communities. This may occur, in part, if boards increasingly shift to more nationally prominent stewards, or if nominating committees devalue traditional indicators of elite status because these are no longer considered accurate boundary markers. These more subtle indicators of attachment to traditional elites include attendance at Ivy League universities,3 listing in the Social Register and Who’s Who, and membership in prestigious social clubs. Indicators of attachment to local, rather than national, elites include birth and residence in the community in which the board member’s organization is situated. A growing de-emphasis on local ties to an elite community would also suggest that board members with careers in business would more likely be tied to corporations with more national concerns. In 1931, the United States was still reeling from the effects of the October 29, 1929, crash of the stock market. President Herbert Hoover was in his last stages of trying to stave off the worst effects of the growing Depression. Franklin Delano Roosevelt and his New Deal legislation (and wholesale tax reform) were barely perceptible on the horizon.4 Desperation was beginning to haunt most Americans. Charity and other private-sector initiatives were being called upon to insulate the country from economic distress as well as to distract an increasingly hopeless populace from the enticement of a socialist solution. Hall credits this wave of Progressivism with inspiring the development of the charitable foundation as a new form of philanthropy oriented to the prevention (as opposed to chronic care) of social problems. He further suggests that this spirit, in the form of experiments in welfare capitalism, led to the underwriting of various charitable organizations by industrial interests. As well, Hall notes that the rise of the community foundation, and by the 1920s, the Community Chest organizations—both forms based on a model of cooperation between business and government—were other major elements in structuring the private-sector alternative to social unrest. By 1931, this private-sector solution, championed by President Hoover, was beginning to unravel in the face of an economic crisis of immense proportions. However, elite sponsorship helped many of the relatively newly formed private independent institutions remain viable as the Depression roared around them. The phenomenal diffusion of the nonprofit form was beginning to take shape at the decade’s start. Questions about community inclusivity and representation were being asked as people of color gained more political and legal strength. As the nonprofit form’s affinity to fulfillment of social needs was being rediscovered, traditional notions of stewardship and governance were being called into question. All of these political and social changes in the environment surrounding nonprofit organizations may be conceptualized as increasing heterogeneity in institutional elements, which adaptive organizations would then internalize. The nonprofit form itself was still proliferating, as government tried to shunt off its services to the private sector. Three decades of social protest and advocacy had sharpened the nonprofit form as a tool for the grass roots, and thousands of organizations were added to the IRS tax-exempt rolls each year. Entrepreneurial nonprofits sprung up to take advantage of new contracting arenas, and small businesses began to cry foul at the fee-for-services model offered by the tax-exempt form. If, as the institutionalists suggest, organizations in search of legitimacy (and funds!) are adaptive to their sociopolitical environments, we would expect that signs of the times would insinuate themselves into the structure and composition of nonprofit boards. Boards of the 1930s will look different from boards of the 1960s, which will look different from boards of the 1990s. Alternatively, as suggested by Arthur Stinchcombe, age of an organization may well impact its structure through an imprinting process, whereby that which is cemented early in development will persist through the forces of organizational inertia.8 However, there are additional (if not tangential) ways to expect that organizational age will impact organizational structure choices. Specifically, the oldest of organizational science schools would suggest that independent of specific time period, organizational aging will be accompanied by processes of bureaucratization. This bureaucratization, again independent of time period, will lead to predictable patterns of organizational structuration, including (according to the master sociologist Max Weber) increased complexity, formalization, and size. This observation, coupled with the argument that institutional forces may make some trustee attributes more valuable over time, suggests that one way to absorb such environmental flux is to increase the size of the board so as to reflect the additional skill sets needed. Board size, then, and not organizational size—which may well be independent from board size—may also play a role in board (member) diversity, eliteness, and interlocks. William Domhoff, The Higher Circles: The Governing Class in America (New York: Random House, 1970); and Michael Useem, The Inner Circle: Large Corporations and the Rise of Business Political Activity in the U.S. and U.K. (New York: Oxford University Press, 1984). The eight “Ivy League” universities—Brown, Columbia, Cornell, Dartmouth, Harvard, Pennsylvania (University of), Princeton, and Yale—were so originally demarcated based on common interests in scholarship and athletics. They have historically and commonly been perceived as the United States’ premier universities. First introduced in a 1932 candidate’s speech, the New Deal was President Franklin Delano Roosevelt’s plan for economic recovery after the devastating Great Depression. Peter Dobkin Hall, “A Historical Overview of the Private Nonprofit Sector,” in The Nonprofit Sector: A Research Handbook, ed. Walter W. Powell, 1st ed. (New Haven, CT: Yale University Press, 1987), 11. Paul G. Lippert, Michael Gutowski, and Lester M. Salamon, The Atlanta Nonprofit Sector in a Time of Government Retrenchment (Washington, DC: Urban Institute Press, 1984). Arthur L. Stinchcombe, “Social Structure and Organizations,” in Handbook of Organizations, ed. James G. March (Chicago: Rand McNally, 1965), 142–99. Peter Dobkin Hall, “Cultures of Trusteeship in the United States,” in “Inventing the Nonprofit Sector” and Other Essays on Philanthropy, Voluntarism, and Nonprofit Organizations (Baltimore: Johns Hopkins University Press, 1992), 135–206. Jennifer R. Wolch, The Shadow State: Government and Voluntary Sector in Transition (New York: Foundation Center, 1990); and Julian Wolpert, Patterns of Generosity in America: Who’s Holding the Safety Net? (New York: Twentieth Century Fund, 1993). Paul J. DiMaggio, “Constructing an Organizational Field as a Professional Project: U.S. Art Museums, 1920–1940,” in The New Institutionalism in Organizational Analysis, ed. Walter W. Powell and Paul J. DiMaggio (Chicago: University of Chicago Press, 1991), 267–92. Paul J. DiMaggio and Walter W. Powell, “The Iron Cage Revisited: Institutional Isomorphism and Collective Rationality in Organizational Fields,” American Sociological Review 48, no. 2 (April 1983): 147–60. The principle of isomorphism in organization studies may have been traced through sociologists Michael T. Hannan and John Freeman (“The Population Ecology of Organizations,” American Journal of Sociology 82, no. 5 [March 1977]) to human ecologist Amos H. Hawley (“Human Ecology,” in International Encyclopedia of the Social Sciences, ed. David L. Sills [New York: Macmillan, 1968]), whose notion was that the variety of organizational forms was “isomorphic” (corresponding) to the variety of institutional environments. Although Hannan and Freeman were best known for their attempts to determine why there were so many different types of organizations, neo-institutionalists, writing at the same time as such sociologists as John W. Meyer and Brian Rowan (“Institutionalized Organizations: Formal Structure as Myth and Ceremony,” American Journal of Sociology 83, no. 2 [September 1977]), and, ultimately, DiMaggio and Powell (1983) used the concept of isomorphism to study why there were actually so (relatively) few different types of organizations. Peter F. Drucker, “What Business Can Learn from Nonprofits,” Harvard Business Review 67, no. 4 (July–August 1989): 88–93. Jeffrey Pfeffer, “Size, Composition, and Function of Hospital Boards of Directors: A Study of Organization-Environment Linkage,” Administrative Science Quarterly 18, no. 3 (September 1973): 349–63. Rikki Abzug is professor and convener of management at the Anisfield School of Business, Ramapo College of New Jersey. A researcher and educator dedicated to organizations and social impact, Dr. Abzug is coauthor (with Jeffrey Simonoff) of Nonprofit Trusteeship in Different Contexts (Ashgate Publishing, 2004), and author of scores of articles in scholarly and trade publications. Dr. Abzug was formerly chair of the Nonprofit Management Program at The New School for Social Research, and associate director of Yale University’s Program on Nonprofit Organizations. Jeffrey S. Simonoff is Professor of Statistics and Robert A. Miller Faculty Fellow in the Department of Information, Operations and Management Sciences of the Leonard N. Stern School of Business at New York University. He is a fellow of the American Statistical Association, a fellow of the Institute of Mathematical Statistics, and an elected member of the International Statistical Institute. Dr. Simonoff has authored or coauthored more than one hundred papers and five books, focusing on both methodology for and applications of statistics to real-world problems and questions.